Little Fox doesn't want to go to bed. He's not tired yet! But morning is breaking and his friends are either eating breakfast or getting ready for bed. Finally, Little Fox finds Squirrel, and the two friends chase each other through the woods. But soon, Little Fox gets sleepy. 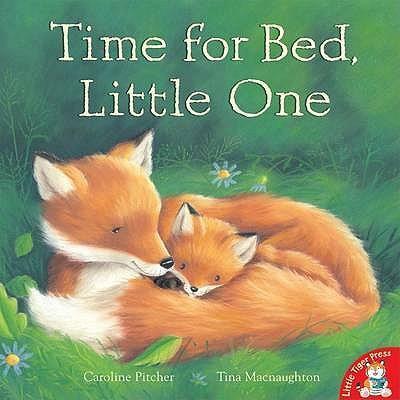 Maybe it is time for Little Fox to get ready for bed after all. The forest and its many inhabitants come alive in Tina Macnaughtons lovely illustrations. This is a wonderful bedtime read, perfect for urging reluctant little ones to bed.